You can, finally, download The Walking Dead Michonne APK with full game sd data files for your Android phones and tablets. All episodes unlocked in ver 1.11, enjoy! After the huge success of The Walking Dead Season One and Two, Telltale Games studio is releasing their latest and most anticipated zombie adventure of 2016. This upcoming (3 episodes) installment follows Michonne, the sword-wielding character in the TV/Book series, as she tries to survive in a world ravaged by zombies. 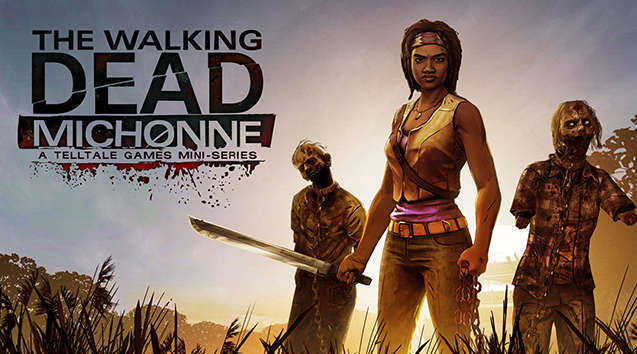 The Walking Dead: Michonne - A Telltale Games Mini-Series stars the iconic character from the comic book series haunted by her past and coping with unimaginable loss and regret. The storyline focuses on events which have taken place between the numbers 126 and 139 of the original TWD comic books. Through this Telltale Games mini-series of 3 episodes, players will discover what took Michonne away from Rick, Ezekiel, and the rest of her trusted group… and what brought her back. As you playthrough you will explore the location of the story, talk to various characters and make impactful decisions, which shape the future events of the game. The gameplay focuses mainly on simple arcade sequences and not on puzzles as in the previous releases. Install APK, move data folder into SDCard/Android/Obb/ and play. Episode 2: Give No Shelter is now available! Full game uploaded by XY!